Do you have atleast 30 PCs and 1 Server? Outsourcing your IT offers significant cost savings by removing business constraints such as fixed overhead, equipment costs and personnel limitations. Partnering with an IT outsourcing company provides you with the peace of mind that comes from knowing your IT needs are being handled by experienced professionals, who are up-to-date on the latest technology and trends that benefit your business. Access to technology, knowledge and skills that may not be available within your company. Ability to handle short- and long-term needs without adding to your operational costs. Improvement of your business processes and operational performance. 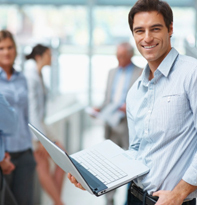 Increased focus on your business’ core competencies and strategic IT plans. Proactive Issue Resolution -- Your IT systems are monitored remotely every 90 seconds for faster identification and resolution of potential issues, often without human intervention. By automating routine tasks and proactively resolving complex and critical problems before an interruption occurs, your company experiences less downtime and greater cost savings. Dedicated Support Team -- You’ll have a single point of accountability for your most complex issues, as well as a strategic partner for planning upgrades, new technology implementation and migrations. 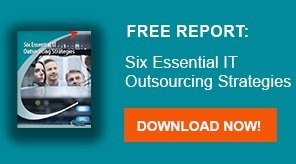 Cost-Effective -- By choosing to outsource to an IT company, your IT infrastructure management becomes a fixed expense. You gain ANP’s team of fully trained IT support experts, who are certified in a wide range of voice, data and security technologies -- without needing to hire additional personnel. Money-Back Guarantee -- Your complete satisfaction is supported by a straightforward, no-strings-attached, money-back guarantee. 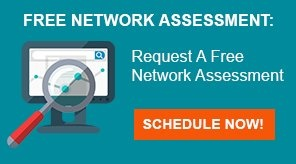 Ready to stop worrying about your IT needs?